Have you ever wanted to be a school director? 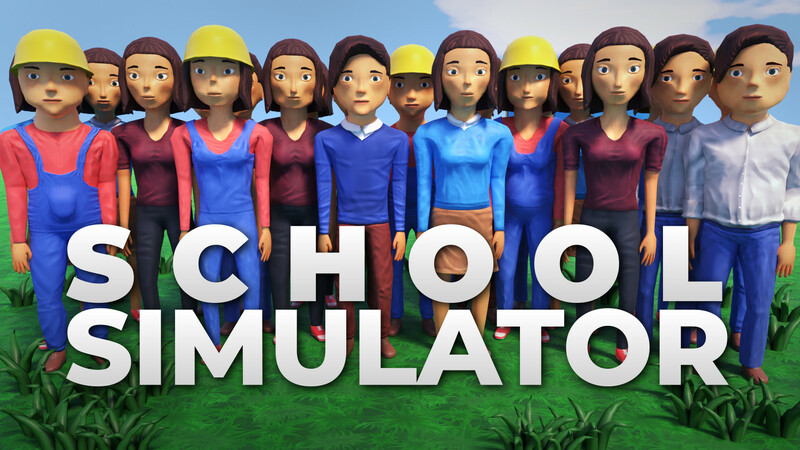 School Simulator is a singleplayer 3D simulation game where you are playing as a school director. 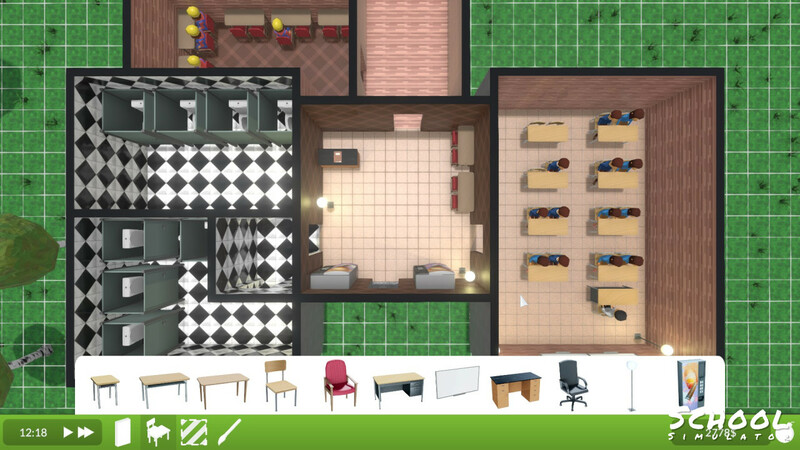 You can build your own school, hire personnel, create lesson schedule and much more! First you must to create a new map. 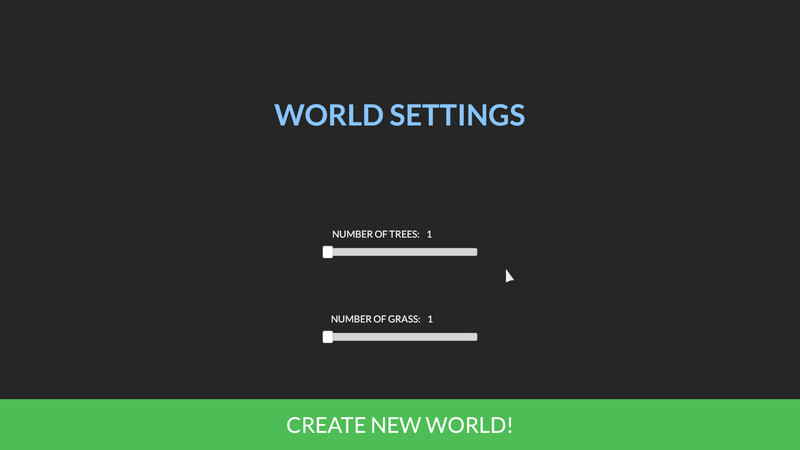 Choose world size, number of trees and how much grass you want. Then click CREATE NEW WORLD! Then you should build a foundations with stairs, so bouilders could go to build a floor. Next press ESC and hire some builders and wait fot them to arrive. When floor is complete, start building walls, then you can place some furnitures inside. After that you have to set class inside that room. Now it's great time to setup lesson schedule. You can do that by clicking on the director's desk. Hey, I built a classroom, But there aren't any students in it, Even though I did send that list of students to the minister! Students will appear next day since you sent list to the minister. 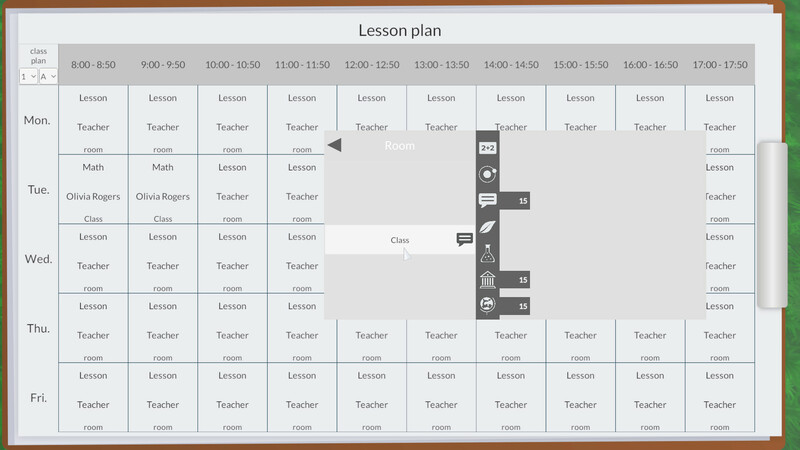 Next you have to place Director desk, where you can setup lesson plan for each class. How do you save game? and i have a worker in my area but shes not working. how do i fix that? Game saves automatically every morning at 8:00AM. 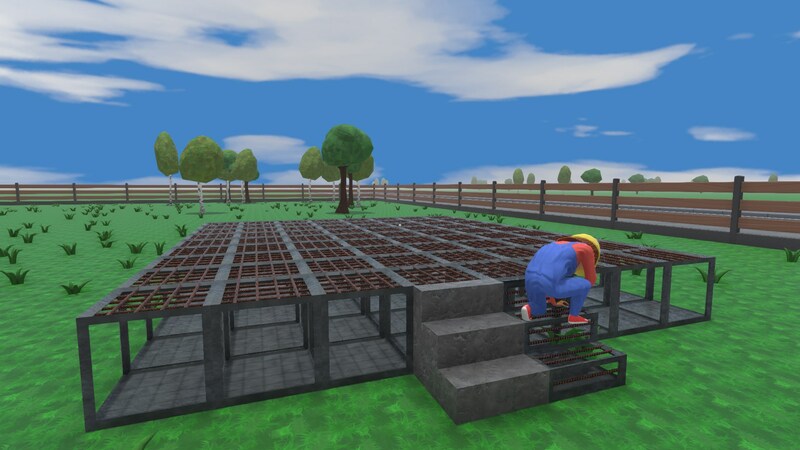 Make sure you have built stairs so worker can walk onto a floor. ui is empty when trying to hire folks theres no label as to what position im hireing in. Could you tell us what screen resolution you have? You can earn money from government, they will give you some money for each student. 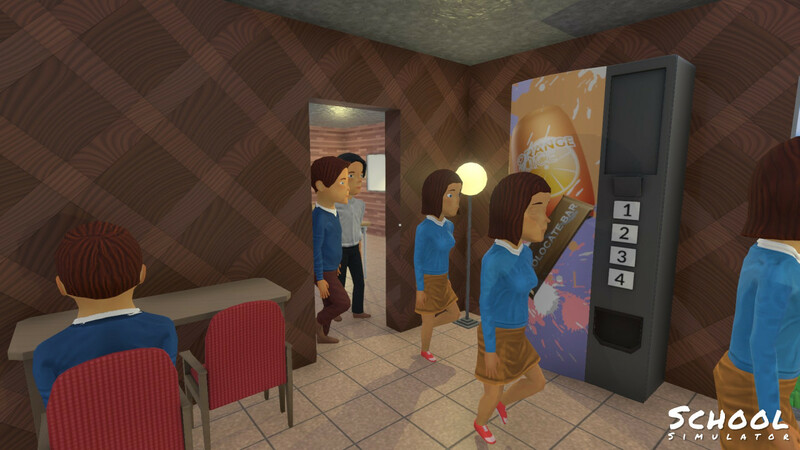 You can also earn some from vending machines. 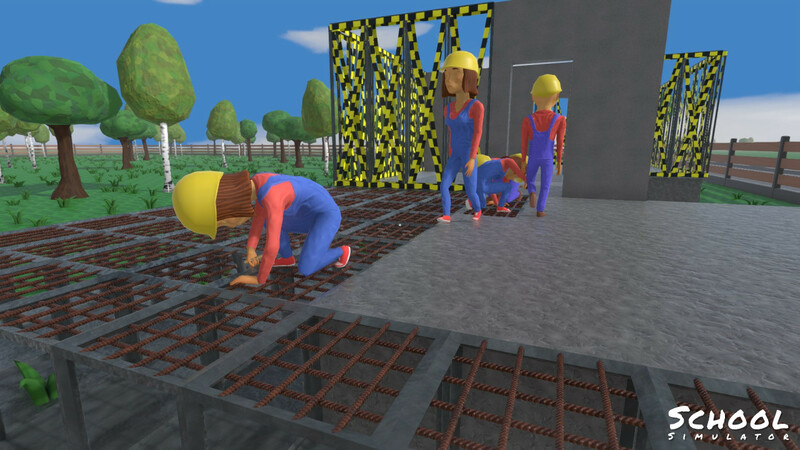 when i hire workers they dosent arive if its not a bug what do i do wrong and how long time does it take for them to arive? Cool game and all, but where are the AR-15's? 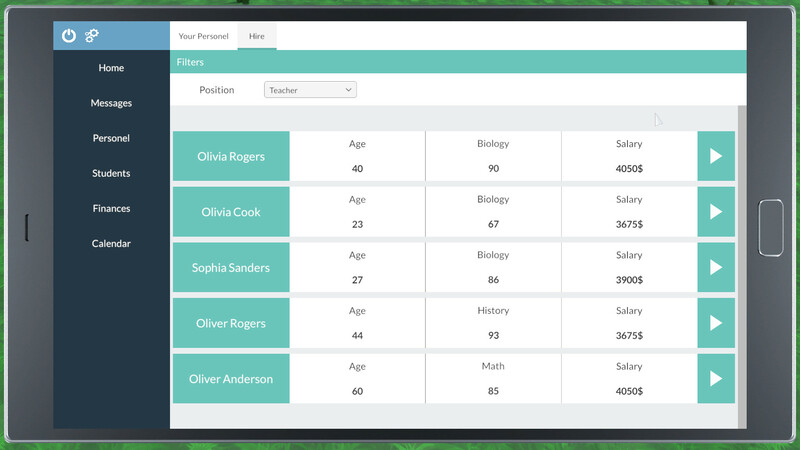 In 0.3.x versions we are focusing on rebuilding entirely the tablet interface and add few new categories to it. We would like also to organise general school management, and of course fix some bugs. what is your update plan? Our main goals in 0.2.x versions is to improve NPCs behaviours, new rooms and furnitures and general improvements in game mechanics. what is the next update going to be? 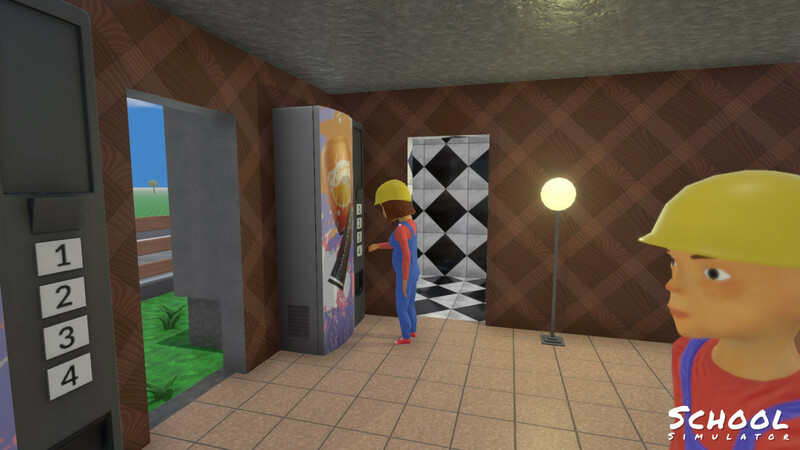 We will add needs for NPCs like hunger and thirst, new funiture to buy food and drinks, ability to speed-up time and also fix some bugs. Next update will be released on Sunday. Our plan is to release Pre-Alpha 0.2 probably in the next week. We are aiming to finish and fix basics of build and destroy modes and smaller changes. why is 1.6 taking so long? Currently we are working on the School Simulator, but you can easily learn how to make games from the internet. When are you going to released 1.6. and got a question it's just you doing the game developing or someone else? Next version is planned to release around 19.10. Our team contain 2 people: 1 programmer and 1 artist. What is your next update plan??? We are aiming to rebuild and fix destrution system in build mode. It's planned to release around 19.10. It work but differently than before. Now you must to press on already builded walls. When is 1.5 coming out???? Next update should be released in next few days. how do a roof on classrooms????? 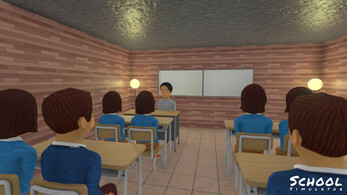 You have to create a class room, then roof will automatically appear. Thanks for the feedback, we missed that. Should be fixed in the next version. We are planning to release next update in this week. This game is currently on early developement state, so it can only be better. Can you but a delete button. Delete button should work in the next few weeks. We have it currently in our plans. They currently even don't have cars, so it's quite a lot of time to do that. We are not focusing on this aspect now. We still need to fix walls corners in some scenarios. Except that we want to create better house and main menu. 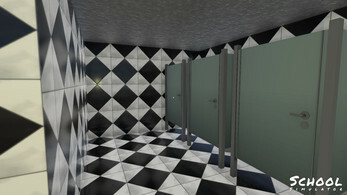 After that we want to add more rooms for NPCs like rest rooms. Yes, except rooms for NPCs. Just wait until the weekend, bigger update is comming! Yup, this weekend. Today or tommorow new update will appear. ok sweet. do have a Twitter or Instagram?